Best weapon for the virtual battlefield! Custom gaming computers from $499. Best gaming PC with overclock and free shipping! 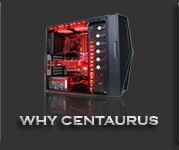 What makes Centaurus PC custom computers so special? 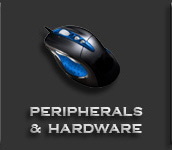 We are among the best gaming computers manufacturers nationwide. We have fastest assembly time with no charge for rush service, lowest failure rates in industry, highest mind blowing custom gaming PC overclocks, only new brand name parts with excellent reputation. All our custom built computers are manually assembled in the USA with attention to every tiny detail, every custom computer individually optimized inside and out, there are no identical computers that we build - every one has its own unique touch. To create the best gaming computer we have to be gamers ourselves, we play all the latest games on our custom computers and we know what it takes to run them. 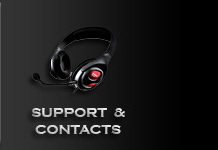 We do not try to save on quality and always make sure that our customers are happy with our gaming computers. From the configuration assessment to the reliable double packaging, we think about customer's satisfaction on every step. World of Warcraft: Warlords Of Draenor - November 11, 2014. It is the era of an Old Horde, forged with steel rather than fel blood. A union of great orc clans, theÂ Iron Horde, tramples the planetÂ DraenorÂ beneath terrifying war machines. Azeroth falls next. Worlds uncounted will follow. YouÂ must mount a desperate charge on Draenor - savage home of orcs and adopted bastion of stoic draenei - at this pivotal moment. Your allies are legends from across time; your fortress a foothold in an alien land. Lead the armies of one world against another... before the future itself is unmade. We are committed to providing Blizzard community with high quality custom gaming computers that bring a whole new world to life on your monitor. If you are looking for the best World of Warcraft gaming computer or gaming PC for Diablo III and Starcraft II - we have it! You will be amazed with what you will see using one of our custom built gaming machines. 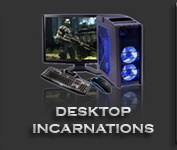 With 5 different custom computers optimized for WOW, Diablo III and StacCraft II you can find something for any budget and you can be sure that you will receive the best gaming experience possible in any other game as well! - DirectX 12 will make it into the Windows 10 release next year. Microsoft is very excited about it and say it should make a "wow" effect in games. We will see about that, hoping that Win10 will be good enough on it's own. By the way Windows 8 usage numbers go down to single digit now, Win7 is still the champion. After Oct31 when Win7 goes out (end of license) we should see more Win8 numbers, or may be not, if people will opt to wait for Win10 instead. - AMD drops prices on R9 290 and 290X from $400 and $550 to $299 and $399 respectively. Thanks Nvidia for GTX 970/980 release, AMD now feels more pressure in this high-end department. 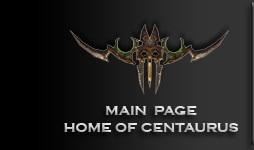 New prices will be reflected on CentaurusComputers.com soon. - Official release of World of Warcraft: Warlords of Draenor is scheduled for November 13. It looks very good so far, with a lot of game-changing updates, better graphics, improved performance and more. New added storyline looks promising as well. Make sure you have good enough gaming PC to enjoy all the goodies of this new WoW expansion. - Windows 7 is approaching EOL (end of license) date, which is October 31. It means that you will not be able to buy Win 7 in stores or get it on computers. Out of 3 Win7 variations only Professional will stay a bit longer, Home and Ultimate are going away. If you were planning on getting PC with Windows 7 you'd better do this now. - X99 chipsets are added to our website. Check Vega http://centauruscomputers.com/html/vega_extreme.html . Built in beautiful NZXT Phantom 240 White case, it houses newest Intel X99 chipset with top performing i7 processors, fastest six and eight core CPUs. On top of that you get DDR4 memory that starts at 2133MHz. Best video cards, SSD drive, 80+ certified PSU, performance CPU coolers, it's a short list of what's included in Vega! - Next gen USB connector is finalized. No more wrong side up/down, it's the same on both sides. Called USB 3.1 Type-C for now, probably will be something easier on ears later. No more flipping it around to insert correctly only to find out you had it right the first time. It may seem like a 2 second inconvenience, but if you will imagine how many thousands of people are flipping wrong-sided USB plugs every second in the world - that's a lot of time wasted. - DirectX 12 will offer nice power savings and improve performance on top of it. It better utilizes modern CPU resources - like instead of running one fully loaded thread it spreads load over all CPU cores lowering total load on CPU. It works much better with newer GPUs as well. Some tests show increase around 50-60% in FPS by simple means of better hardware utilization compared to DX11. Expect DX12 somewhere around Windows 9 release time. - Nine out of 10 PC games were downloaded in 2013 vs purchased on discs. Also PC gaming sector is growing bigger than one of consoles, in game sales, gamers, profits and more! - We have mentioned Microsoft OneDrive before, and it is worth mentioning again. Microsoft dropped prices by 70% and doubled free option size to 15GB. Now 100GB will set you back only $1.99 a month, compared to $7.49 before. Now we expect other companies to follow. MS OneDrive has tight integration into Windows ecosystem, especially with mobile devices on Windows 8, which makes it a default (and pretty good) choice for many users. - SSD price war is coming our way, or it started already? We see big price drops every day and more discounts will come in the future - thanks to several big players on SSD market who want to dominate it. well, good luck to them, low prices to us. Still running laptop with HDD? Please, we beg you, upgrade to SSD drive. Desktops have faster HDDs (7200vs5400rpm in general) but they benefit from SSD greatly. Laptops need SSDs desperately, especially when one single HDD can slow down i7 CPU machine with 16GB RAM to Celeron budget machine speeds.